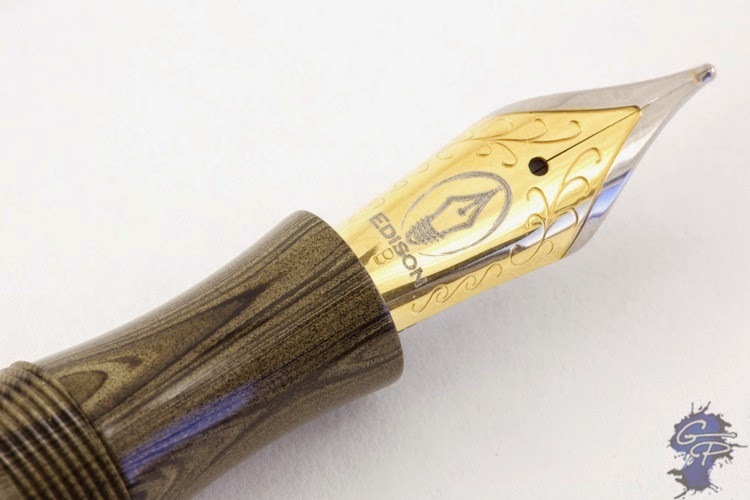 If you were following us around November of this year, you probably saw this post where we announced the launch of a limited edition Edison Nouveau Premiere in Macassar Ebonite. 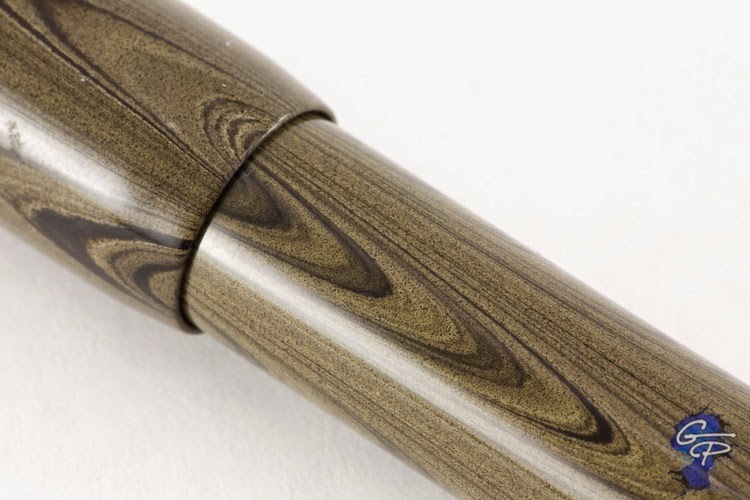 This is a pen that we made available for sale only for the month of November 2013, and that period has obviously passed and the pens are in production. 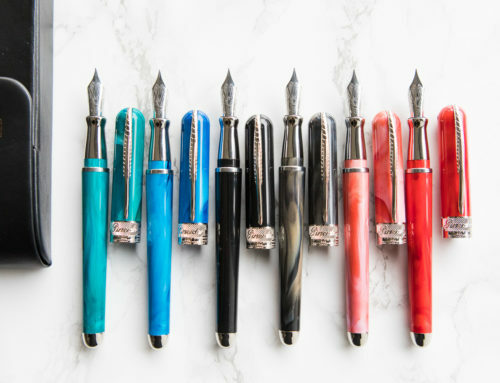 Last week Brian Gray reached out to us about a color variation he was seeing in the Macassar Ebonite stock for the pens. 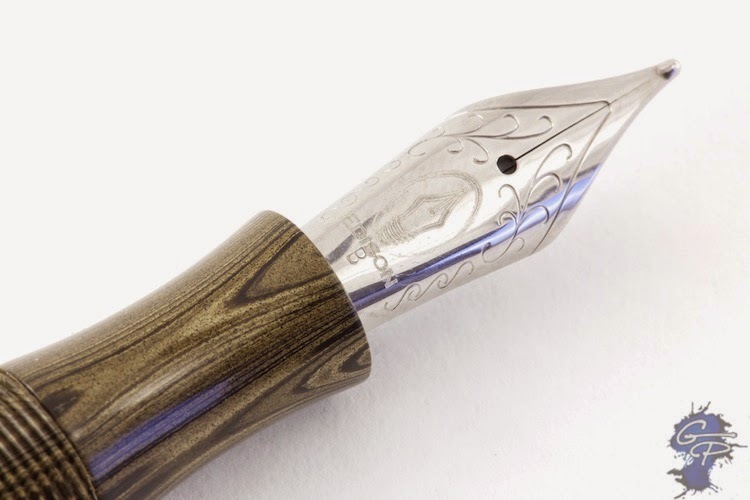 He saw that the material had a lot more beige than our artist’s proof which we used to advertise the pen. 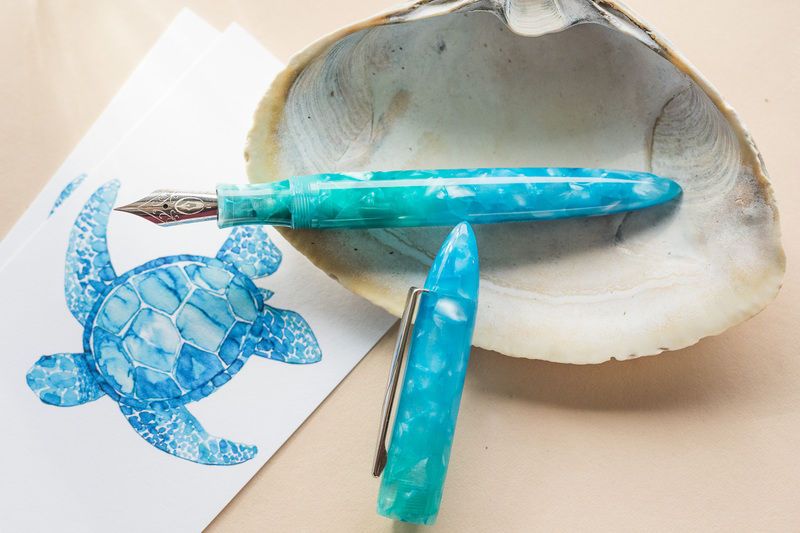 After turning several pens out of the full shipment of ebonite, it became pretty clear that this material was turning out different than we expected. So it appears that we had a sample that wasn’t as accurate to the intended color of the material as we would have liked. Since Brian had never ordered this material before, we had to assume that the darker rod was the intention of the manufacturer. It’s impossible to see what the color will look like in raw form, it’s not until it’s turned to final dimension when we can tell what it’ll turn out to be. Since the sample we had originally was apparently from the beginning of the batch and therefore different than the rest of the batch, replicating the darker color like what we had in our artist’s proof would be near impossible. Trying to obtain a darker color would guarantee a 4-5 week delay or more, and based on the manufacturer’s response, we doubt we’d get an end result much different than the beige we’ve just received. 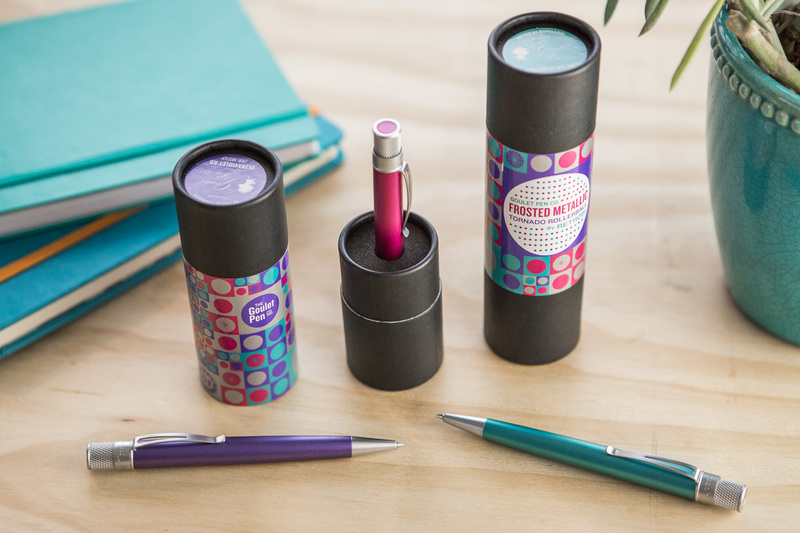 After comparing the materials side-by-side, we decided that this material was different enough in appearance that we wanted to specifically contact everyone who purchased the pen with the original material and give them the option to back out if they do not like the new color. 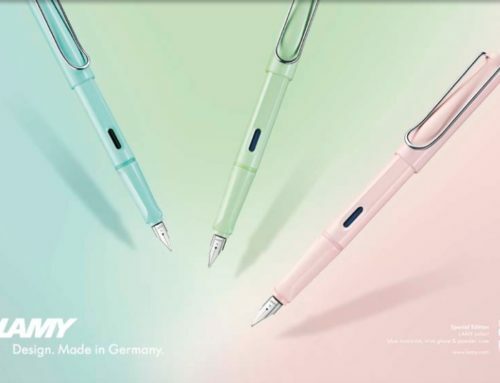 We’ve already contacted everyone individually, and if you haven’t received your email and you bought the pen, let us know. 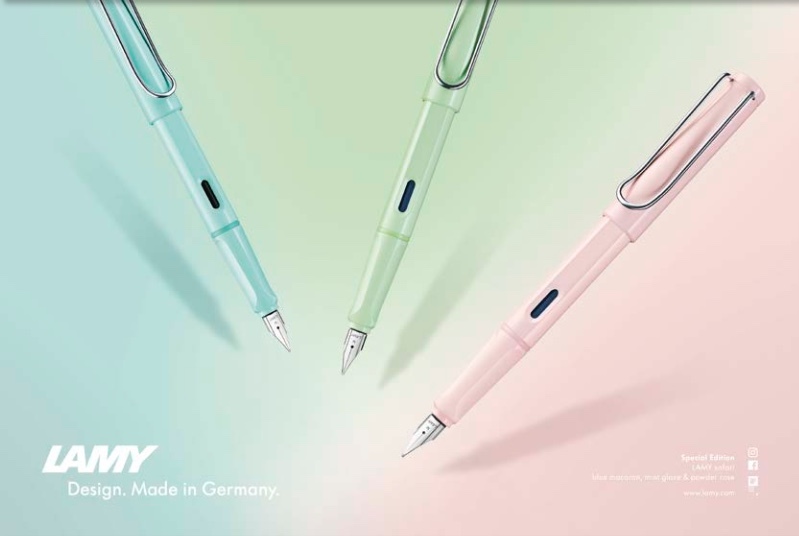 Realizing that many people would probably like the new color, we tried to put ourselves in your shoes: the new color is available to the original purchasers, and you may like it but didn’t buy the pen originally because you didn’t like the darker color! 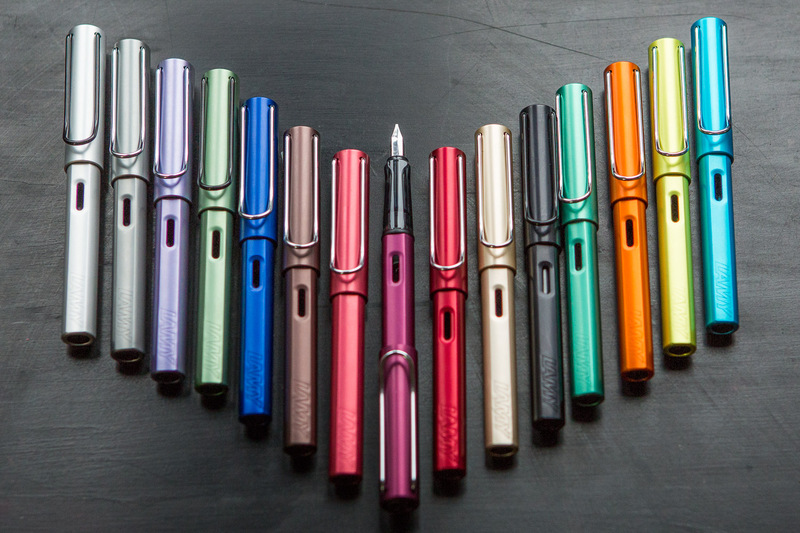 Trying to make the best of a tough situation, we thought it only fair to re-open the buy period for this pen to allow those of you who like the new color to have a chance to get one. 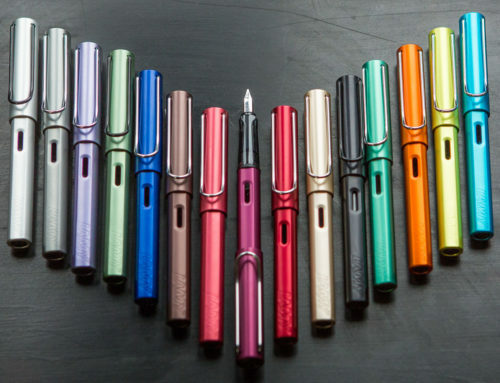 We’d like to also give you the choice to switch the trim color to gold, with a two-tone steel nib. 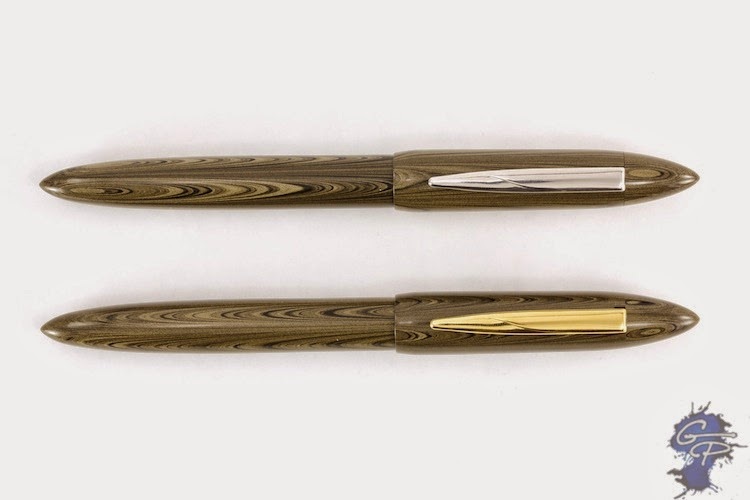 This beige really works well with either gold or rhodium trim, so we want you to select whichever trim you like best on your pen. The LE engraving will also be backfilled to match your trim color. 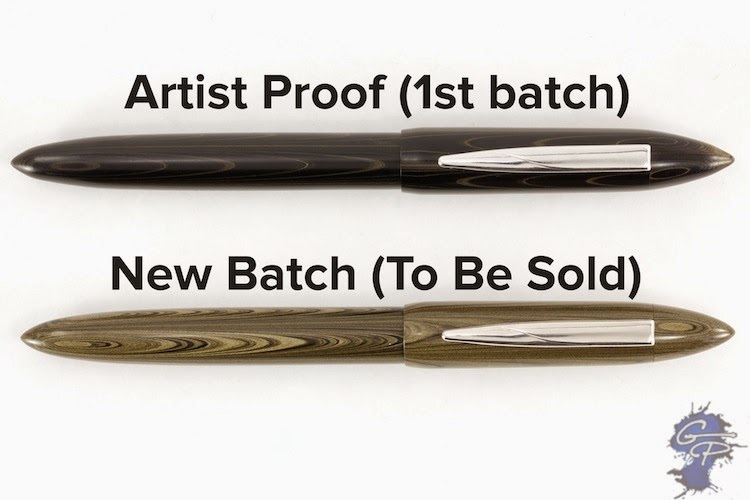 We will be opening the buy period for the lighter beige Macassar Ebonite Premiere LE starting today, December 19th 2013, and it will be available for purchase through Friday, January 3rd, 2014. We thought this would be able time to accommodate around the holidays. There will not be a significant delay in the original timeline of mid-late January like we’d initially promised. Brian Gray has all the material on hand, and can make the pens as originally scheduled. 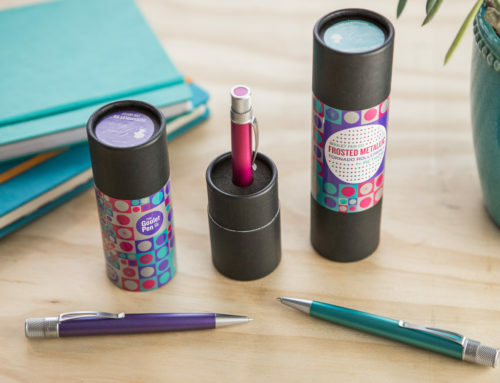 Our primary focus will be on delivering pens to those who originally purchased them, but they will all be ready around essentially the same time. 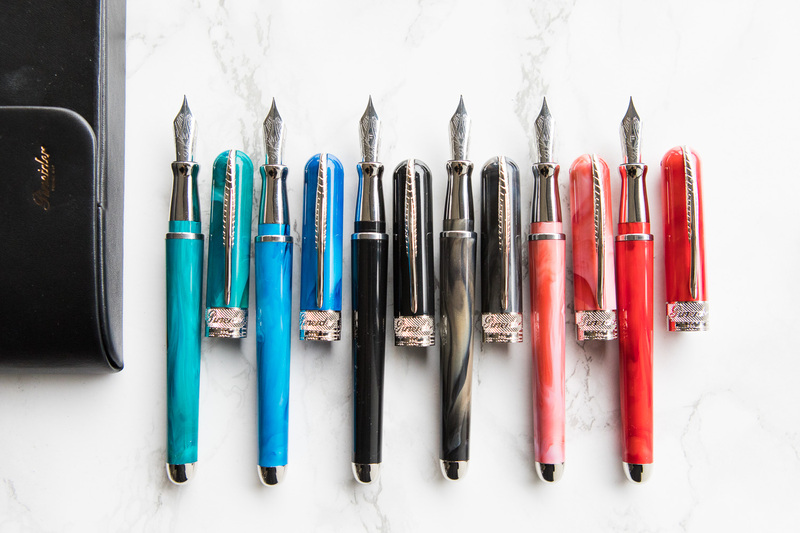 We want to make it clear that our intention for re-opening the buy period is not to just try to get more money or sell more pens. 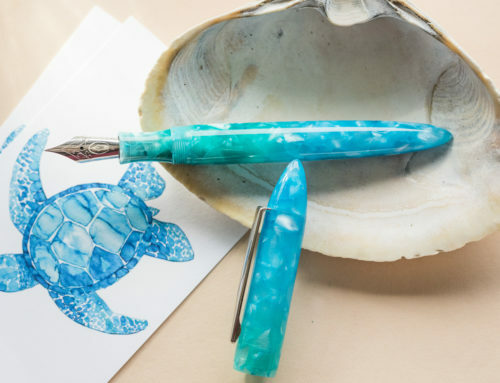 We feel really bad about this mishap that is beyond our control, and we simply want to try to give as many people who want this pen the option to get it, with fair opportunity to do so. So there you have it. Our sole intention here is to be as honest and up-front about the situation as possible. Ideally, we would have received a material exactly like what we were expecting based on the artist proof. But we’re trying to make the most of the situation we’re in, and offer the best selection of alternatives for everyone as we possibly can. If you have any questions please leave them in the comments. Or you can contact Goulet Pens or Edison Pens directly. Unexpected things happen to all companies, but we will always be transparent when these happen, and we want to make sure that all of our customers involved are satisfied in the end.